For the second time I’m offering this groundbreaking — and affordable — online course in Transformational Communication for busy executives at the University of California, San Diego (UCSD) Executive Education Program. Register for this 9-week course at a discount! What is Transformational Communication (TC)? 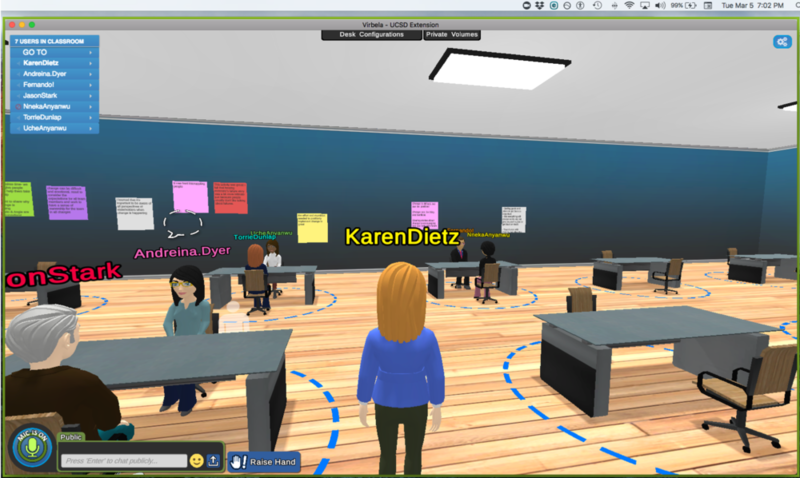 And it all happens in UCSD’s virtual reality online platform, allowing for lots of interaction to build your skills. Interaction is the bedrock for building your transformational communication skills. Because you can’t upgrade your communication skills by reading a book, listening to a PowerPoint recording, or talking to yourself. 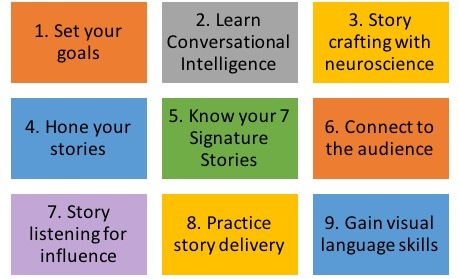 Hone your conversational intelligence and narrative intelligence to leap forward at work. Craft at least 5 different transformational stories in class along with an influential presentation. 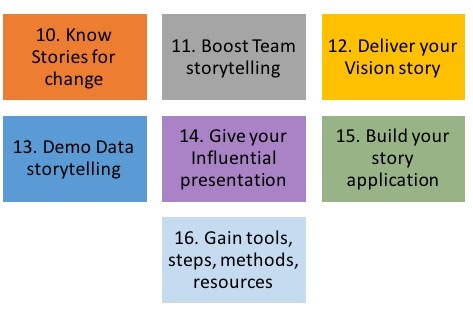 Walk away with at least 9 different story structures to use that allow you to shine, spur decision making, enroll people in your project, product, or service, tell the data story, and amplify your vision. Leave the course equipped with tools, experiences, and resources that you will rarely receive anywhere else. Use Virtual Reality to build your skills! During the entire 9-week class we use the VirBela virtual reality platform. Each week in class activities you work together in small groups or with partners to build your skills right then and there. Can’t attend class? Find a buddy to enroll in the class with you. Use the VirBela platform to do all the class activities together in your time zone. Report on how it went. Knowing yours and other’s story styles, and creating a mini-narrative strategy to implement back and work.